We’re all about that bass, but to be honest, we like to hear treble and midtones too. It’s easy to sink tons of money into headphones that say they’ll give you the best audio quality around. Of course, they’re usually giving you the best audio quality for their price point. If you’re an avid gamer, lover of music, or work in a field that requires you to be able to decipher each aspect of sound in great detail, you’re going to need to sink some serious cash into your headphones. If you are one such person, then you know how important it is to hear every aspect of sound as clearly as possible. 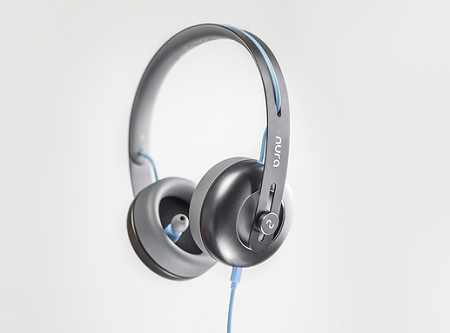 NURA is combining ear cups and in-ear headphones with some serious software to make sure you not only hear the sound, but hear it attuned to your specific hearing profile through soundwave technology. This means you’re not only going to hear your sound, but feel it too as the bass will be bumping through the cups while the high tones come in through the buds. This plugs into your lightning/USB port of your phone, and will have you listen to tones while it calibrates for about 30 seconds. It measures the feint sound that comes out of your ear from hearing something, so once it understands how you hear things, it will adjust everything you hear through the headphones from then on regardless of what app or program it’s in. You can even have multiple profiles if you want to let your friends borrow it, though you probably won’t because they’re in-ear. These will cost you around $199, and will give you the perks of getting custom headphones without having to be an audiophile to find them.